Iceland seems to attract CC alumni; this is the second chance encounter we’ve run about CC Tigers crossing paths unexpectedly in this part of the world. 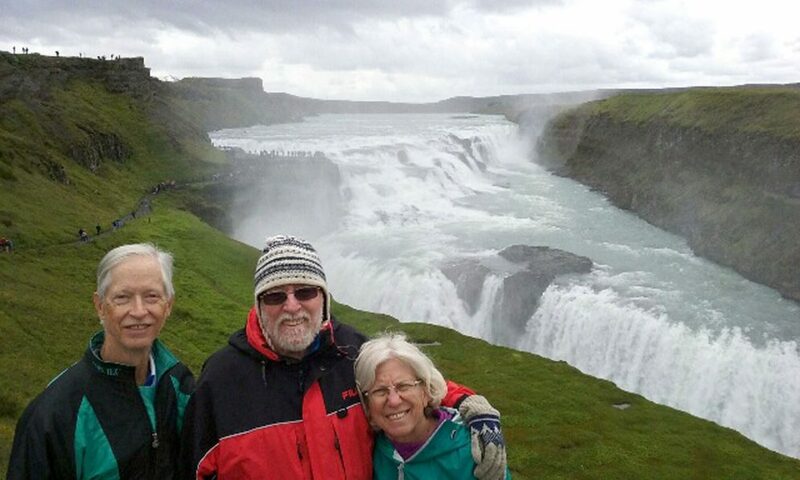 On a July trip to Iceland, John Shackleford ’70 was on a tour bus to the Gullfoss waterfall, located in the canyon of the Hvítá River. “The guide asked us each to introduce ourselves and say where we were from,” he says. That’s how he met CC alumnus Michael Manco-Johnson ’67 and his wife Marilyn. Have you unexpectedly encountered a classmate somewhere in the world? If so, we want to hear from you. Give us the who, what, where, when, and why, and include a photo. 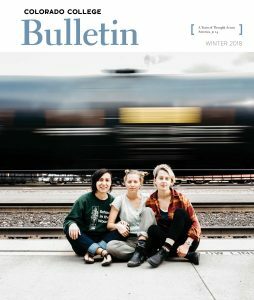 Email all of this information and digital images (JPGs at 300 dpi and minimum of 3×5.5 inches) to bulletin@coloradocollege.edu or send good-quality prints at a similar size to Bulletin/Communications, 14 E. Cache La Poudre St., Colorado Springs, CO 80903-3294. Please identify yourself and your fellow Tigers in any photos from left to right.